In a landmark year that highlighted the company’s commitment to delivery of projects and creation of prime real estate assets, Emaar Properties PJSC recorded a net operating profit of Dhs3.034bn ($826m), 31% higher than the net operating profit of Dhs2.324bn ($633m) recorded in 2009. Annual revenue for 2010 was Dhs12.150bn ($3.308bn), 44% higher than the 2009 revenues of Dhs8.413bn ($2.29b). Net operating profit during the fourth quarter (September to December) 2010 was Dhs691m ($188m), which is similar to the third quarter (July to September) 2010 net operating profit of Dhs687m ($187m). Revenue for the last three months of 2010 was Dhs3.830bn ($1.043bn), 38% higher than the third quarter 2010 revenue of Dhs2.782bn ($757m). The company’s shopping malls & retail and hospitality subsidiaries contributed significantly to the revenues for the year, highlighting the successful creation of recurring revenue streams for Emaar. Approximately 24 per cent of the total revenues were from these two business segments with shopping malls & retail revenues of Dhs1.9bn ($517m), and hospitality revenues of Dhs1bn ($272m). Emaar handed over 3,500 units in the UAE and internationally in 2010, including over 770 units in Burj Khalifa, the world’s tallest building and over 420 units in international markets. In line with the business strategy of the Group to focus on the core sectors of property development, shopping malls & retail and hospitality, Emaar Properties transferred its healthcare and education assets to renowned service providers, which will contribute to additional recurring rental revenues in 2011 and later years. Highlighting the strong fundamentals of the company, Emaar has successfully executed two public offerings including the Convertible Bond of $500m in September 2010 and $500m Sukuk in January 2011. Both offerings were the first by a corporate entity out of the region post the global financial crisis and received overwhelming response from the investors. “Dubai, having entered its next phase of growth under the visionary leadership of His Highness Sheikh Mohammed Bin Rashid Al Maktoum, UAE Vice President & Prime Minister and Ruler of Dubai, will continue to be a key market, where we will continue delivering a superior lifestyle experience to our customers. We see 2011 to be a signature year for Emaar with significant revenue streams from international operations kicking in,” he added. 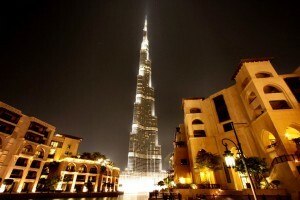 This year, several key international markets of Emaar will achieve project hand-over. In addition to the imminent hand-over of homes in Jeddah Gate and Al Khobar Lakes in Saudi Arabia by Emaar Middle East, Emaar Syria, will set a new milestone with the Commercial Centre in its master-planned community, The Eighth Gate. Offices are already functional in the Commercial Centre, which this year will witness the opening of the Damascus Stock Exchange building, making The Eighth Gate a financial nerve centre of the country. In Turkey, Emaar has already handed over homes in the first phase of Tuscan Valley Houses, and Emaar Turkey, a fully owned subsidiary, is progressing with the second phase. Emaar Turkey is also going full-steam ahead with the New Istanbul Project, which will also feature a large shopping mall. In Egypt, Emaar Misr will welcome the first residents of Uptown Cairo and Marassi. Emaar Properties will continue to strengthen the operations of its subsidiaries, Emaar Malls Group and Emaar Hospitality Group. This year, Emaar Hospitality Group will further consolidate its international footprint with the management agreements for operating luxury retreats in Morocco, South of France and Indonesia making significant progress. Emaar Hospitality Group is also expanding its Lifestyle Dining concepts with the latest in its portfolio being At.mosphere, the world’s highest restaurant, which opened recently in Burj Khalifa. In 2010, Emaar set new benchmarks in the international hospitality industry with the opening of Armani Hotel Dubai, the first hotel to be launched under the collaboration between Emaar Properties and Giorgio Armani S.p.A, in the world’s tallest building. Emaar was adjudged as ‘Best Developer’ of residential and mixed-use projects in the UAE and Turkey at the 2010 Euromoney Real Estate Awards. Emaar Hospitality Group clinched six awards at the World Travel Awards 2010 being voted as the ‘Middle East’s Leading Tourism Property Development Company,’ and The Address Hotels + Resorts winning awards for all its properties in Dubai.